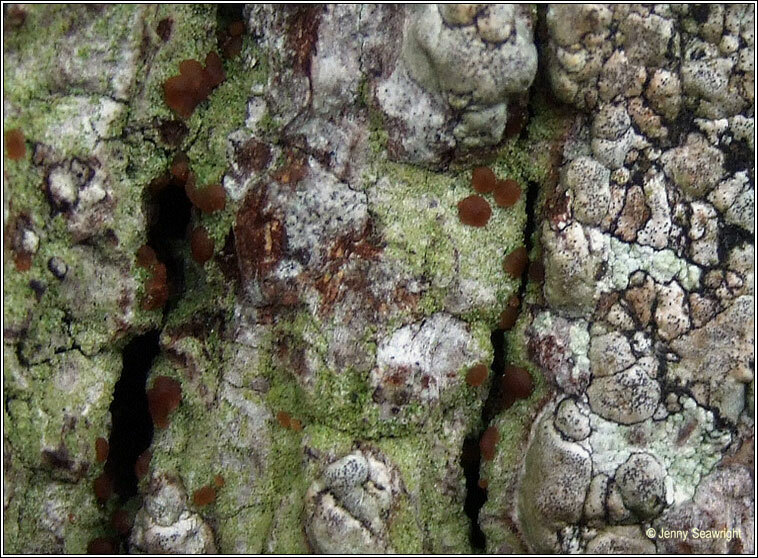 Photos: On mature Oak. Bantry House, Co. Cork, SW Ireland. 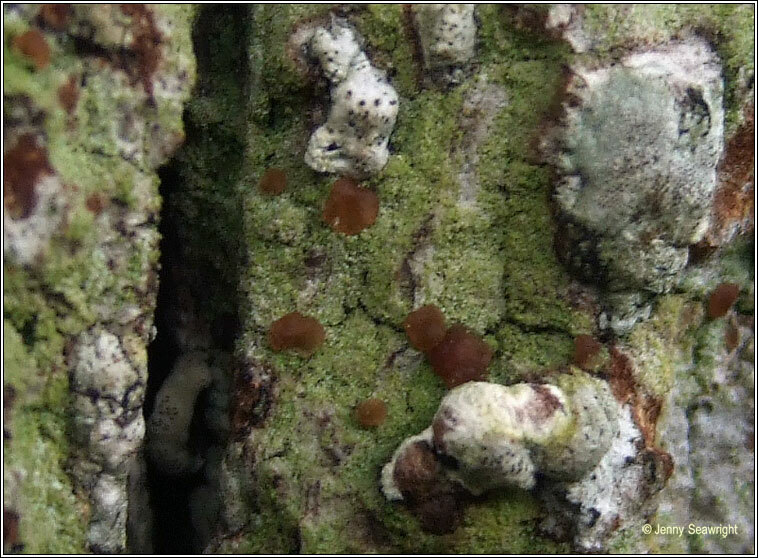 Thallus yellow-green to greyish minutely granular, the granules appearing isidia-like. 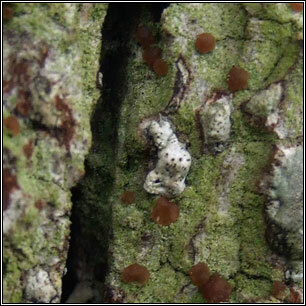 The sessile apothecia are flat or slightly convex, pale to dark reddish-brown. Margins usually persistent, sometimes pruinose. Pycnidia are pale pink to reddish-brown. 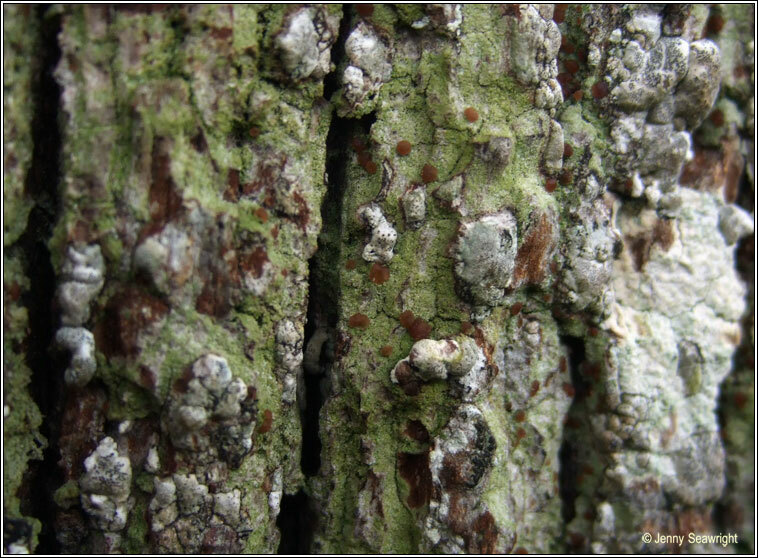 Occurs on nutrient-rich bark on the trunks of mature trees on rich soils. Rare on sheltered walls and gravestones, absent in polluted areas.